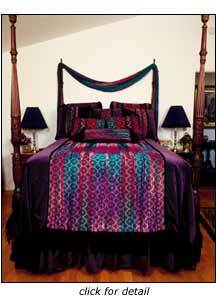 A bedroom is a sacred space for nourishing the body and soul. A bed ensemble pulls the elements in a room together and visually completes the space with the use of color and texture. Adding a matching throw, canopy, or window treatment gives a beautiful finishing touch. 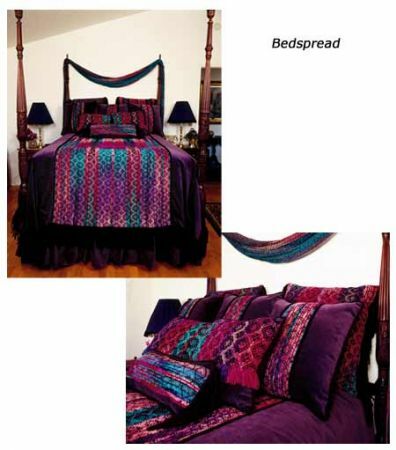 Wendy’s unique use of color and fiber can make your bedroom a soft and gentle refuge or a palace of passion.